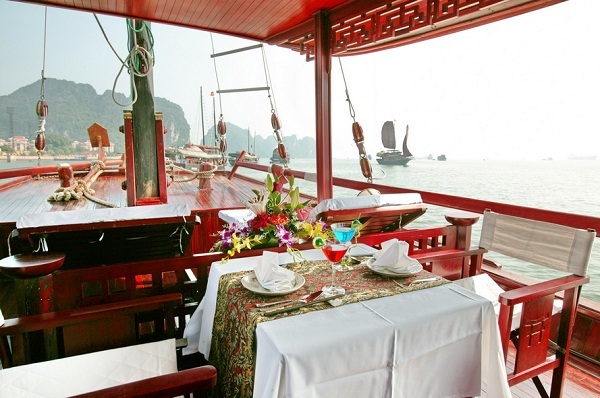 Princess Junk is one of the best values for money private-charter options in Halong Bay. 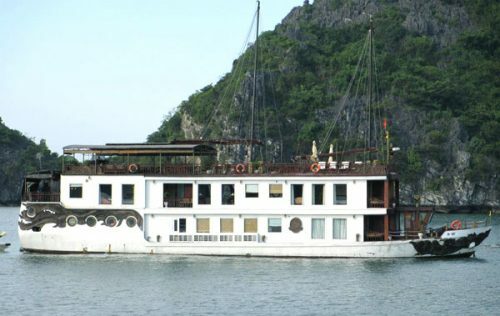 Professional in design, Princess Junks can bring you to the wildest, farthest and less touristy places with magnificent scenery in Halong Bay. Other differences from the classic junk include large bedroom windows and covered outdoor deck for meals. Keen attention to detail has been put into all aspects for comfort and viewing pleasure. 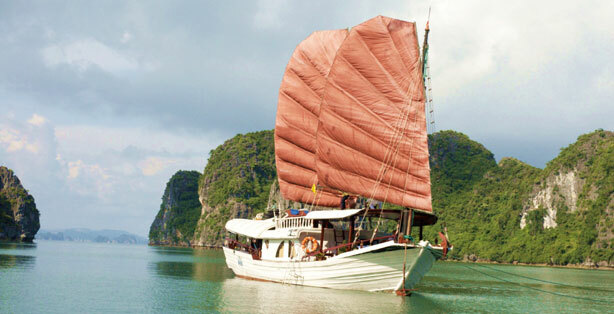 This traditional junk is available for anything from one to five nights on the Bay, unlike any standard junks which have a maximum stay of two nights. The cabin is decked out in rich woods with a large window for great views and traditional finishes, as well as an en-suite bathroom. It has individually controlled air-conditioning, a wardrobe, safe box and complimentary use of slippers and a hair dryer. 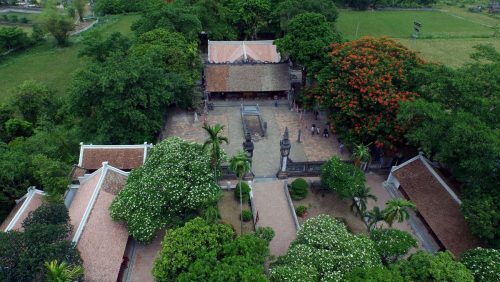 There are plenty of activities you can do like swimming, visiting fishing village by bamboo rowboat, exploring the bay’s uninhabited islands by kayak. If you and your friends like food and recipes, you can join in out cooking demonstration to learn more about the ingredients and techniques of Vietnamese dishes. Furthermore, Princess Junk has well-educated and professional crews who are very friendly and hospitality. The experienced captains can take you explore every tranquil scenery in the safest conditions. 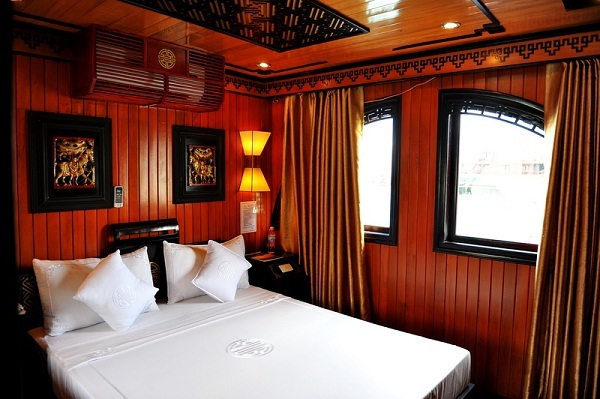 Princess Junk is designed to accommodate both the romantic getaway for honeymooners and the fun-filled atmosphere with all the amenities for family party or small private group.